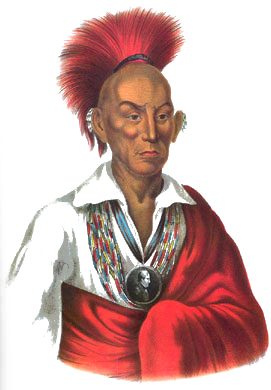 [Chief Yellow Thunder (1774-1874)] as a young man roamed through the beautiful country lying between Lake Winnebago and Green Bay; tall and lithe, wise and observant; skilled with spear ad bow. He fought with valor in the war of 1812, on the side of the British but returning home after the British campaign had failed he and his people remained peaceful for many years. He was wedded to an Algonquin girl whose father was the chief of a village near Portage. Because of his courage and wisdom, he was promoted to War Chief by his people who looked to him for direction and council. The whites were covetous of the lands occupied by the Winnebagoes and in 1837 he was invited to Washington to visit the president. Two young chieftains, the Elder Dandy and War Eagle accompanied him. When the subject of a treaty came up Yellow Thunder and his men declared that they had no authority to sign treaties. Their arguments were of no avail; meant very little to the politicians who are determined to wrest the lands away from the Indians. They finally signed, giving away hundreds of thousands of acres for some land in Iowa. They were told that they had eight years in which to move but the treaty stipulated eight months. The Indians could not read and the portly pale face politicians must have had many a good chuckle over their fat cigars and heartwarming bourbon. 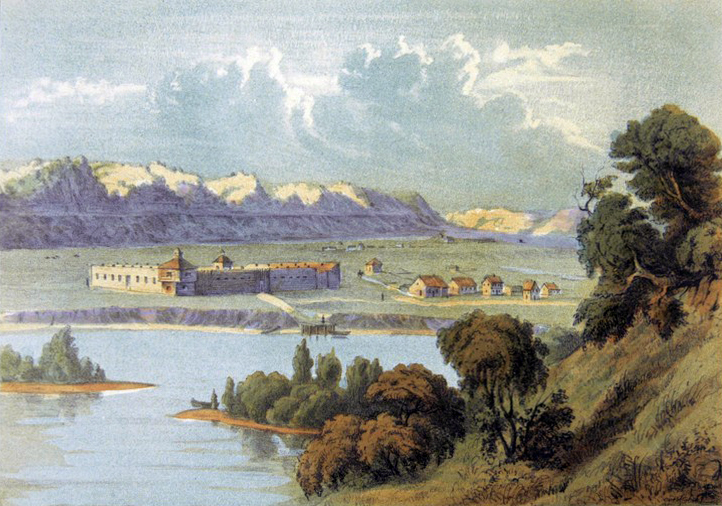 In 1840, troops arrived in Portage. 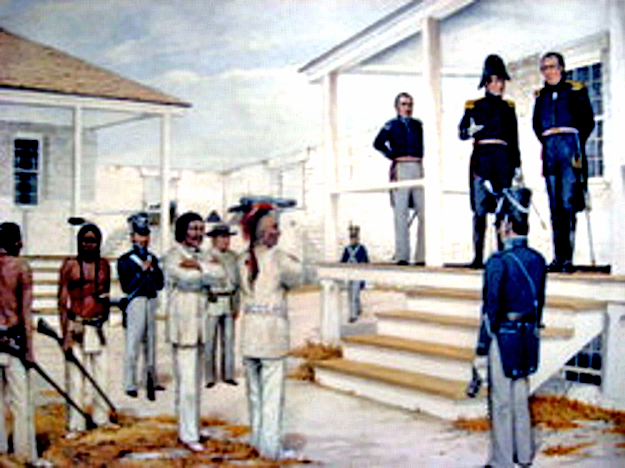 The head men of the villages were invited to Portage by the military leaders who promised them many provisions. Arriving in Portage they were thrown into the guardhouse and fastened to ball and chain. They were released on their word that they would bring their bands to Portage within three days. Then followed a scene that for pathos matched the exiling of the Arcadians as portrayed by Longfellow in his "Evangeline." Put into boats, sent down the river, away from everything that had been dear to them; away to strange lands with strange people, far, far away, ever to return. 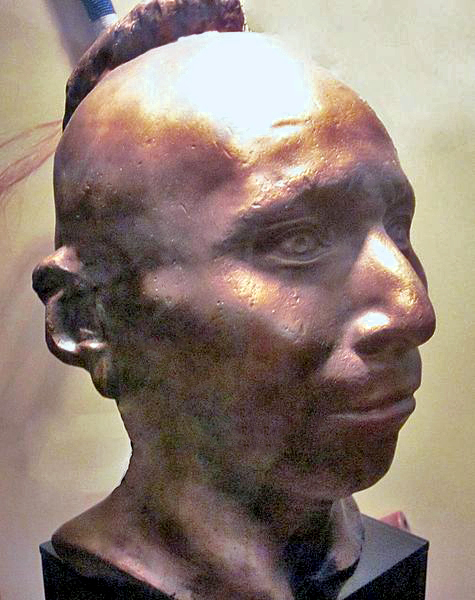 This chieftain ... lived on the Fox River about five miles below Berlin at the Yellow Banks. He was said to have been a man of great responsibility among his people and an able counselor to all their public affairs. 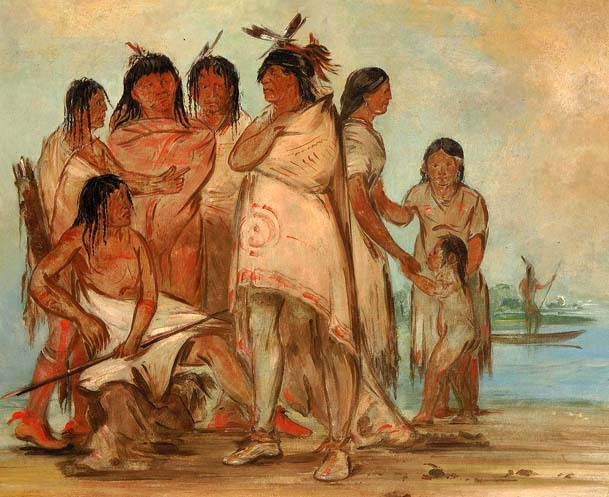 In company with his wife, who was a daughter of White Crow, and later called the 'Washington Woman,' he made a visit with several numbers of his tribe to New York and Washington in 1828. He signed the treaty of 1829. In 1837, in company with several young men, he was persuaded to visit Washington and induced to sign the treaty made in that year. But he found that the terms of the treaty compelled him to go west of the Mississippi, he declared he would not go. But in 1840, in company with Black Wolf, he was invited into Fort Winnebago ostensibly to hold a council. When the gates were shut on them they were seized and conveyed beyond the Mississippi. But Yellow Thunder soon returned, and visiting the land office at Mineral Point, he asked if Indians would be permitted to enter land. 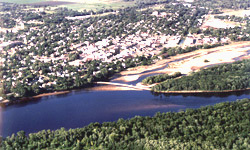 In receiving an affirmative answer, he entered forty acres on the west bank of the Wisconsin River. He is said to have built two log huts, and to have cultivated five acres of this land, raising corn, beans and potatoes. During his feasts about 1500 Indians usually gathered in his vicinity. 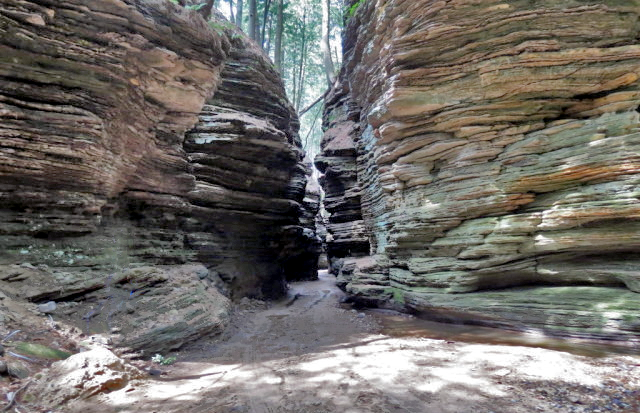 In 1840, he was said to have had a summer village sixteen miles up the river from Portage. 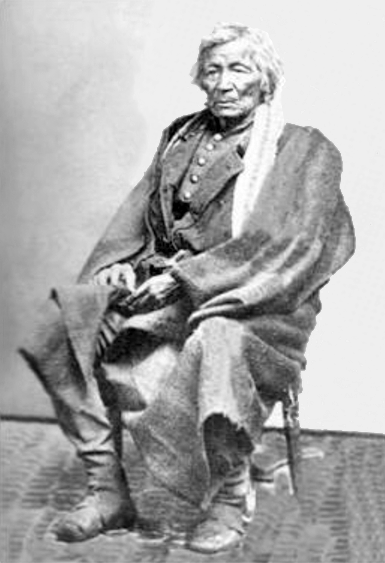 "Elder Dandy" — known also as "Old Dandy," his Hočąk name was Hujopka, "Four Legs," known as Neokautah to the Menominee. His village was located on Doty Island.8 This was described by Morgan L. Martin in 1828 as being, "On Doty's island, very near the mouth, on the west channel was the village of Hootschope or Four Legs, the well known Winnebago chieftain. There were from 150 to 200 lodges there, covered with bark or mats. We found Four Legs a very ordinary looking Indian. "9 In 1830, a Mr. McCall added, "There was in all 55, male and female. The chief's name is Four Legs. Took our dinner and returned to meet the chief at his lodge. Here we found them collected in all about 10 in number the head chief seated on his mat cross-legged in all the majesty of an Asiatic prince. After a profound silence, he arose from his seat and shook hands with each of us and addressed us in the Winnebago. "10 This same year, Juliette Kinzie described the village as, "a cluster of neat bark wigwams ... at the entrance to Winnebago Lake, a picturesque cluster of huts, spread around on a pretty green glade, and shaded by fine lofty trees. "11 He is believed to have fought on the British side in the War of 1812, after which he set himself up as overlord in the Fox River valley where he exacted tribute for anyone wishing to pass through. He died in 1830 at about the age of 40 years. 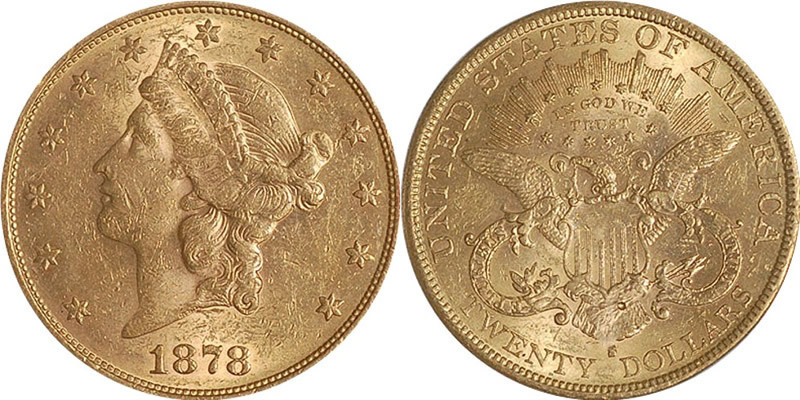 "gold pieces" — this is the Twenty Dollar Gold Piece, the 1876 dollar is now (2015) estimated to be worth about $228 dollars, so the gold piece, in terms of purchasing power, would now be $4,560. "Albert Yellow Thunder" — an important informant for Don Saunders, and is pictured in more than one of his books. 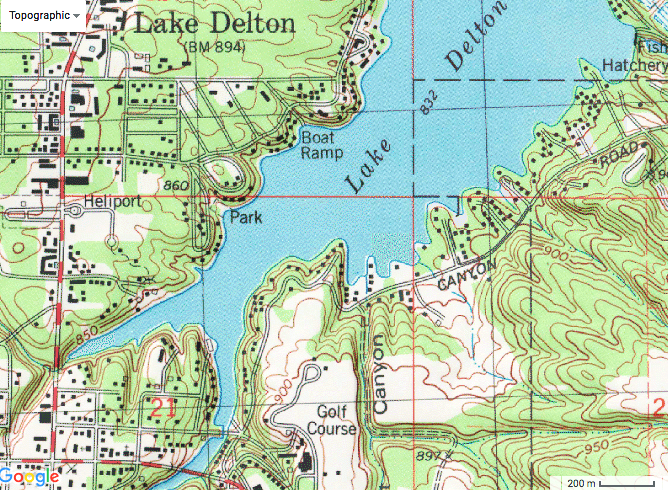 "Lost Canyon" — this is located south of Lake Denton about 2.5 miles south of Wisconsin Dells, coordinates 43.5943018°N, -89.7807249°W. "warclub" — this is a club of roughly the sort shown above. "Place of Buried Canoes" — this would be Wajᵋxeja in Hočąk. "One-Eyed Decora" — the third son of "Old Decorah." He is also known by the name "Big Canoe." 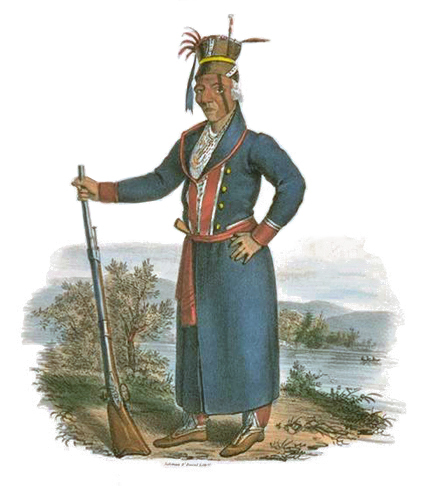 He distinguished himself in action against the British, for which see, "The Origin of Big Canoe's Name." 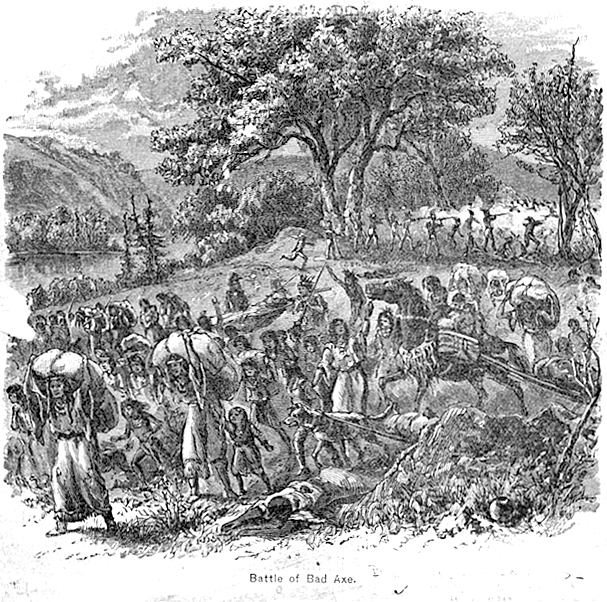 Stories: mentioning Yellow Thunder: The Hills of La Crosse, Brawl in Omro; mentioning Big Canoe (One-Eyed Decorah): The Origin of Big Canoe's Name; about famous Hočąk warriors and warleaders: How Little Priest went out as a Soldier, Little Priest's Game, The Masaxe War (Hogimasąga), Wazųka, Great Walker's Warpath (Great Walker), Great Walker's Medicine (Great Walker, Smoke Walker, Dog Head, Small Snake), Šųgepaga (Dog Head), The Warbundle Maker (Dog Head), The Shawnee Prophet — What He Told the Hočągara (Smoke Walker, Dog Head, Small Snake), Big Thunder Teaches Čap’ósgaga the Warpath (Big Thunder, Čap’ósgaga), The Osage Massacre (Big Thunder, Čap’ósgaga), The Fox-Hočąk War (Čap’ósgaga), The Origin of Big Canoe's Name, White Thunder's Warpath, Four Legs, The Man who Fought against Forty (Mąčosepka), The Hills of La Crosse (Yellow Thunder), The Blessings of the Buffalo Spirits, Fighting Retreat, Mitchell Red Cloud, jr. Wins the Medal of Honor (Mitchell Red Cloud, jr.), How Jarrot Got His Name, Jerrot's Temperance Pledge — A Poem, Jarrot's Aborted Raid, Jarrot and His Friends Saved from Starvation, They Owe a Bullet (Pawnee Shooter); mentioning Medicine Men: Visit of the Medicine Man, Big Eagle Cave Mystery, Holy One and His Brother, Old Man and Wears White Feather, The Magical Powers of Lincoln's Grandfather, The Phantom Woman; mentioning Warbundles: Waruǧábᵉra (Thunderbird), The Adventures of Redhorn's Sons (Thunderbird), Redhorn's Sons (Thunderbird), The Twins Join Redhorn's Warparty (Thunderbird), The Warbundle of the Eight Generations (Thunderbird), Wanihéga Becomes a Sak’į (Thunderbird), Šųgepaga (Eagle), The Warbundle Maker (Eagle), The Masaxe War (Eagle? ), The Blessing of a Bear Clansman (Bear), The Blessings of the Buffalo Spirits (Buffalo), Paint Medicine Origin Myth (Hit’énųk’e Paint), The Blessing of Kerexųsaka (Sauk), Yellow Thunder and the Lore of Lost Canyon, Mijistéga’s Powwow Magic and How He Won the Trader's Store (Potawatomi), A Man's Revenge (enemy); mentioning the Sauk (Sac, Sagi): The First Fox and Sauk War, Mijistéga and the Sauks, The Annihilation of the Hočągara I (v. 2), Annihilation of the Hočągara II, The Blessing of Kerexųsaka, Big Eagle Cave Mystery, The Chief Who Shot His Own Daughter, Little Priest's Game, Gatschet's Hočank hit’e (St. Peet ...), A Peyote Story, Introduction; mentioning the Big Knives (white Americans): The Shawnee Prophet and His Ascension, The Shawnee Prophet — What He Told the Hočągara, Brawl in Omro, The Scalping Knife of Wakąšučka, How Little Priest went out as a Soldier, A Prophecy, The Chief Who Shot His Own Daughter, The First Fox and Sauk War, The Cosmic Ages of the Hočągara, Turtle and the Merchant, The Hočągara Migrate South, Neenah, Run for Your Life, The Glory of the Morning, First Contact, Mijistéga’s Powwow Magic and How He Won the Trader's Store, Migistéga’s Magic, Mighty Thunder; set in the Wisconsin Dells: The Twin Sisters, White Flower, The Green Waterspirit of the Wisconsin Dells, Sunset Point, Heną́ga and Star Girl, Red Cloud's Death; mentioning Prairie du Chien, Wisconsin (Niučjeja): The Chief Who Shot His Own Daughter, How Jarrot Got His Name, Oto Origins, Run for Your Life, Gottschall: Debate and Discussion. 1 Harry Ellsworth Cole (1861-1928), A Standard History of Sauk County, Wisconsin (Chicago: Lewis Publishing Co., 1918) 179. What is quoted is an address given by James Hoyt Hill, Sr. (1882-1958) on the occasion of the dedication of a memorial to Yellow Thunder and his wife and their new burial site on August 27, 1909. Most of Don Saunder's account Yellow Thunder is either a direct quote from his address or a close summary or paraphrase. 2 Don Saunders, Temple Bells in the Pagan Dells. Historical . . . Mythical and Pictorial Review of the Beautiful Wisconsin Dells (Kilbourn: Wisconsin Dells Events, 1959) 9-11. 3 Moses Paquette, "The Wisconsin Winnebago," Collections of the State Historical Society of Wisconsin, XII (1892): 399-433 . Thwaites, Notes to Wau-Bun, Caxton Club Edition (1901), 404 nt. 50. 4 Norton William Jipson, Story of the Winnebagoes (Chicago: The Chicago Historical Society, 1923 [unpublished]), 252. 5 A. B. Stout, "The Archeology of Eastern Sauk County, Wisconsin Archeologist," 5, #2 (Jan.-April, 1906): 227-288 . Publius V. Lawson, History of Winnebago County, Wisconsin (Chicago: C. F. Cooper & Co., 1908) 1:68-69. 6 Find a Grave > Chief Yellow Thunder. 7 from the official City of Portage website (> History), viewed 1/2/18. 8 For Four Legs and his village, see See 3, Wisconsin Historical Collections, 286; 5, W. H. C., 96; 10, W. H. C., 74; 11, W. H. C., 395; 2, The Wisconsin Archeologist, 52; and 1906, Proceedings of the State Historical Society of Wisconsin. 9 11, W. H. C., 395. 10 12, W. H. C., 187-188. 11 Juliette Augusta McGill Kinzie, Wau-Bun, The "Early Day" in the North-west (Chicago & New York: Rand, McNally & Company, 1873 ) 62 . 12 Kinzie, Wau-Bun, 86 . 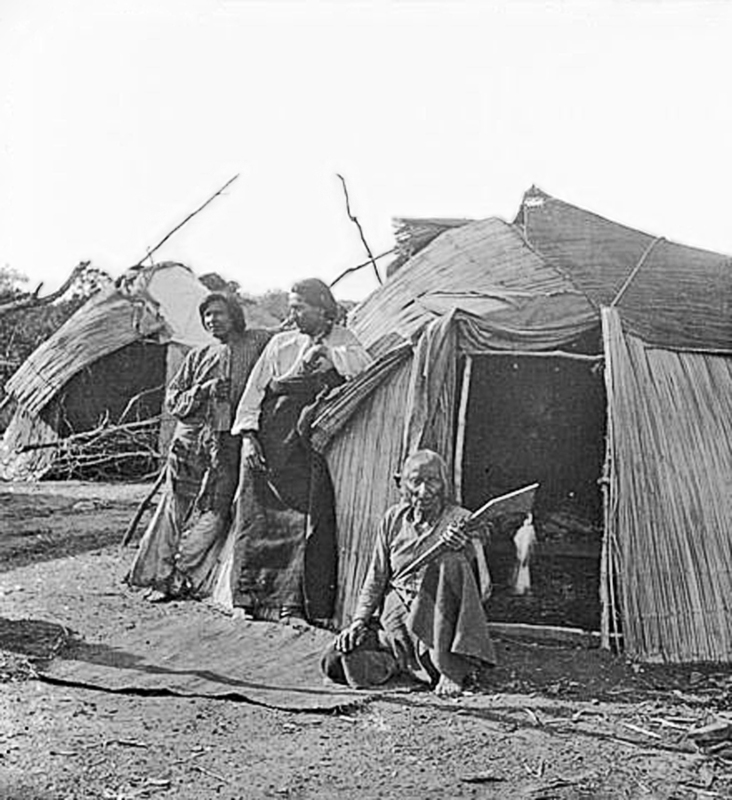 13 2, Wisconsin Historical Collections, 176; 5, W. H. C., 96; 14, W. H. C., 87; Publius V. Lawson, "The Winnebago Tribe," Wisconsin Archeologist, 6, #3 (July, 1907) 78-162 [142-144]. 14 Lawson, "The Winnebago Tribe," 103, 138. 15 Lawson, "The Winnebago Tribe," 139. 16 2, W. H. C., 167; 13, W. H. C., 449; 5, W. H. C., 153; Lawson, "The Winnebago Tribe," 109. 17 3, W. H. C., 288-89; 2, W. H. C., 178; 7, W. H. C., 375. 18 7, W. H. C., 355-56. 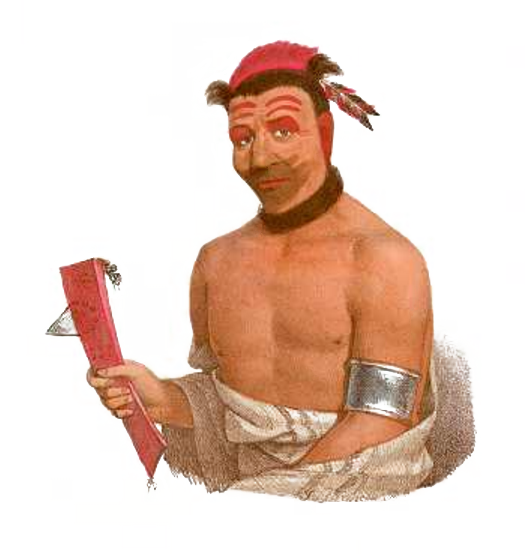 19 Black Hawk, Autobiography of Ma-ka-tai-me-she-kia-kiak, or Black Hawk, ed. John Barton Patterson (St. Louis: Continental Printing Co., 1882). William R. Smith, The History of Wisconsin, In Three Parts, Historical, Documentary and Descriptive, Part I, Vol. I (Madison: Beriah Brown, 1854) 221-406. 20 James Lewis, The Black Hawk War of 1832 (Illinois Humanities Council, 2000). 21 Reuben Gold Thwaites, Notes to Wau-Bun, Caxton Club Edition (1901), 404 nt. 49. 22 Alfred Edward Bulger, "Events at Prairie du Chien Previous to American Occupation, 1814," Collections of the State Historical Society of Wisconsin, 13 (1895): 1-9 [1-2]. 23 Bulger, "Events at Prairie du Chien Previous to American Occupation, 1814," 2. 24 Mary Elise Antoine, Prairie Du Chien (Charleston: Arcadia Publishing, 2011) 7.